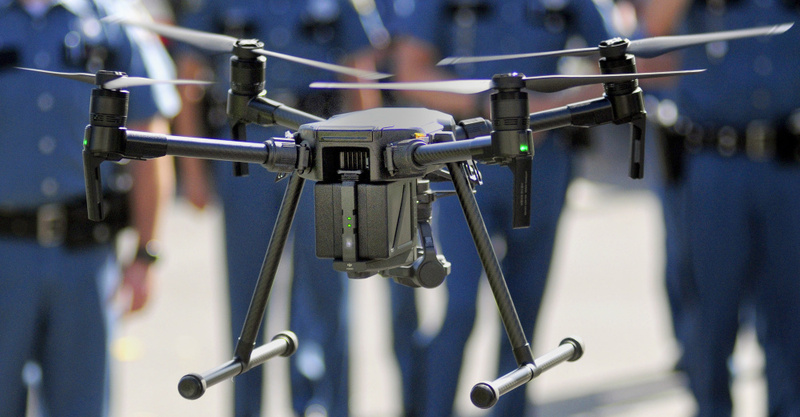 Police say it's 'a new way to take photos' that's much faster, while the ACLU says it wants to make sure police are following a relatively new state law governing drone use by police agencies. AUGUSTA — In the past, when two or more vehicles collided in a remote part of the state, it might have taken the Maine State Police more than 24 hours to travel to the scene, photograph the wreckage and process the images, to help determine what caused the crash. But in early August, when a pickup truck crashed into a blueberry truck in the Down East town of Northfield, it took the agency far less time. 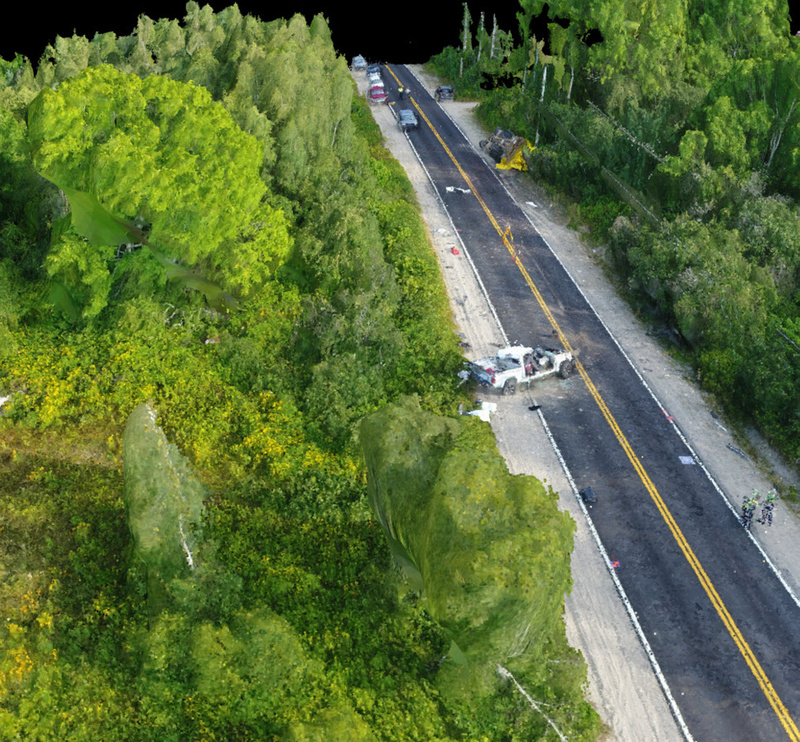 Its investigators recently started using cameras mounted on remote-controlled drones to snap photos of crash scenes, along with software that stitches the digital images together. Williams was speaking Thursday morning outside Maine State Police headquarters as three drones, or unmanned aerial vehicles, flew overhead. 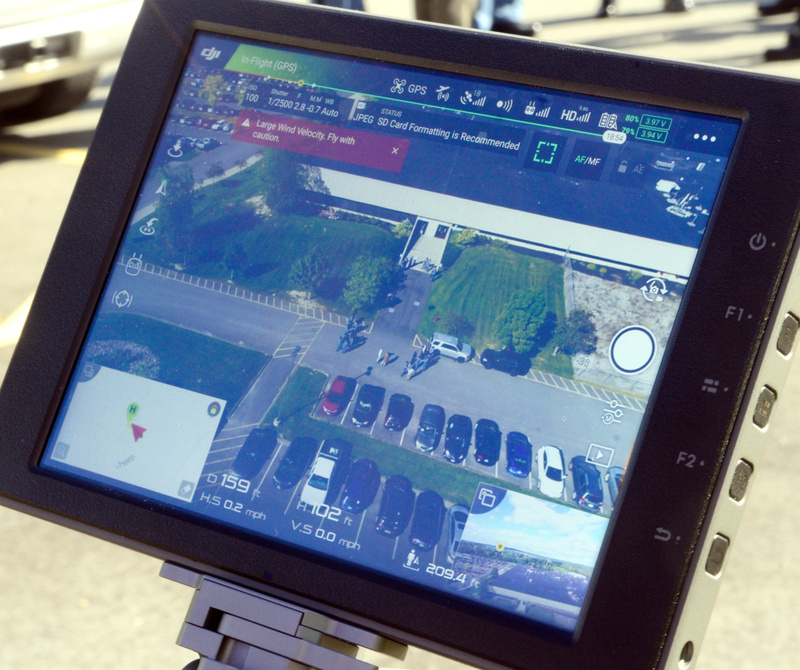 For the last two months, state police have been using the flying, camera-mounted machines to document crash scenes, and supervisors from around the state were in Augusta to learn more about the technology. Given how much more efficiently drones can capture images over a large area, the new technology has raised alarm among some citizens and groups, such as the American Civil Liberties Union of Maine, which says it could violate the privacy of Maine residents if the appropriate protections aren’t in place. In 2015, those groups helped get a law passed that regulates the use of drones by Maine police. 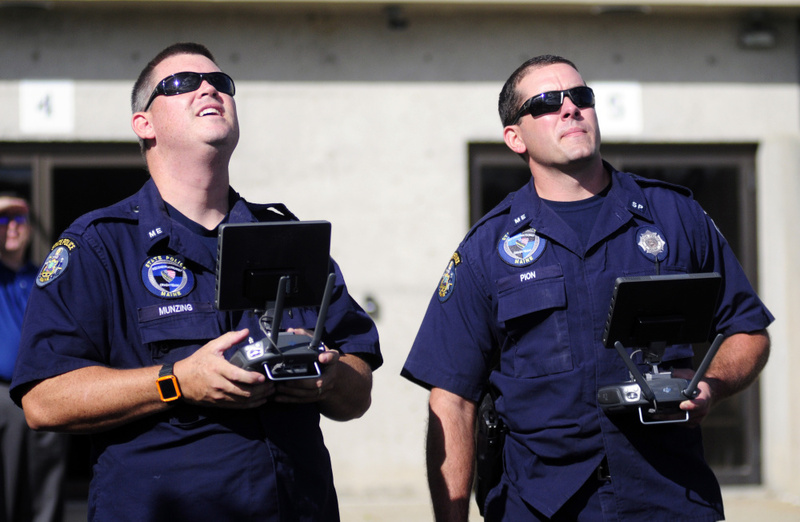 The law prohibits the use of drones in criminal investigations when a warrant hasn’t been obtained. It allows drones to be used to photograph crash scenes. 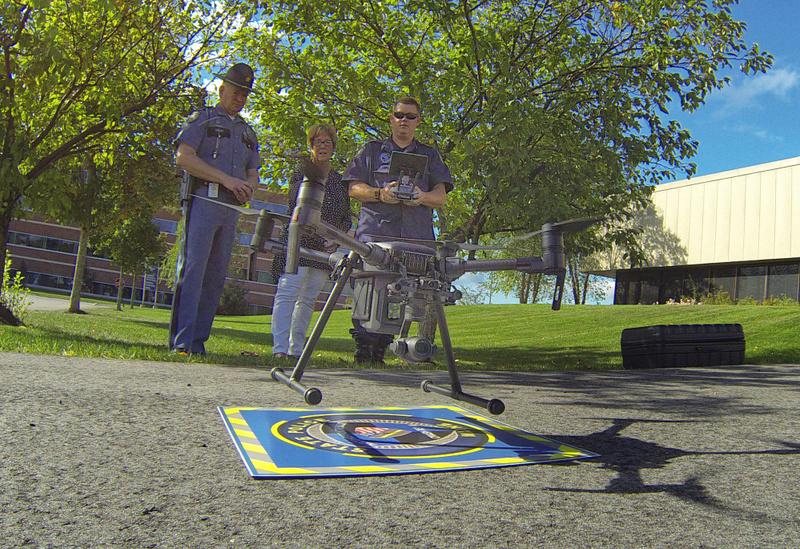 It also directed the Maine Criminal Justice Academy to establish minimum standards for any police agency that uses drones, including training requirements for operators and restrictions on the use of high-powered lenses and facial recognition technology. 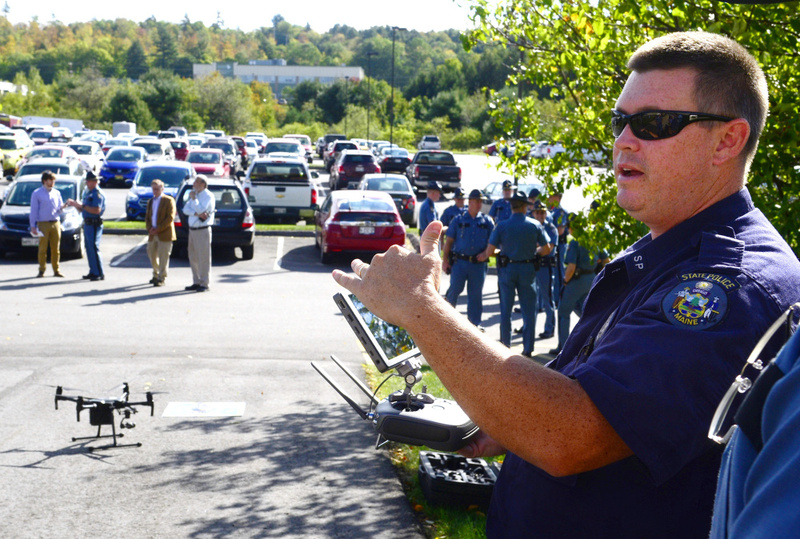 Drones are still a rare technology among Maine’s law enforcement community. 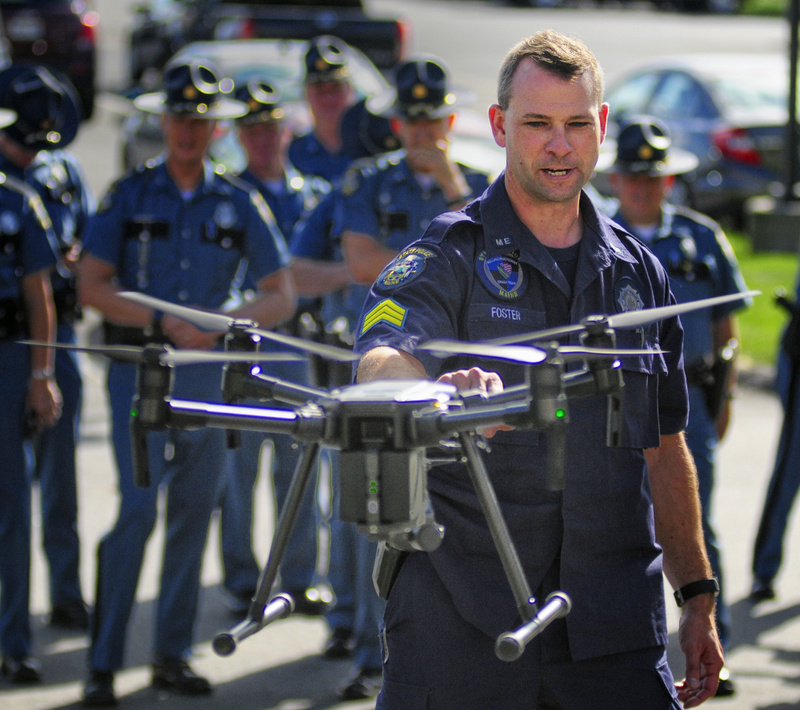 As of the summer of 2016, no police agencies in the state had reported using drones as part of their investigative work, according to an annual report that the Maine Department of Public Safety must file with the Legislature. 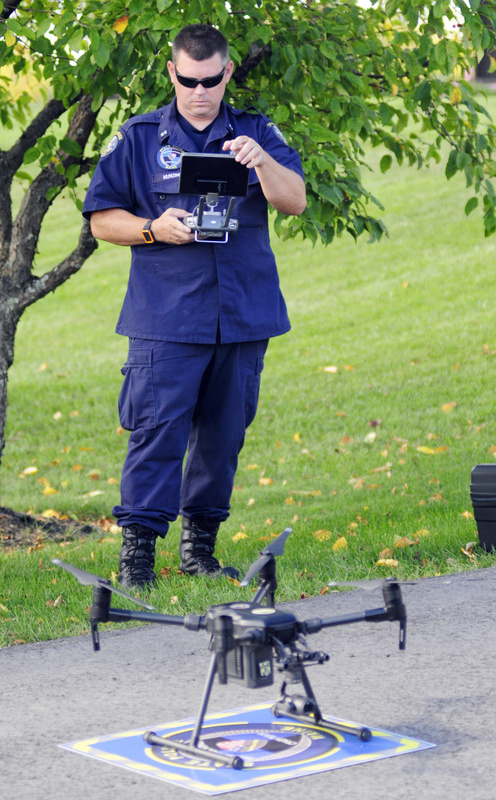 And Lt. Bruce Scott, of the state police, said he is unaware of any other police agency using drones in the state. A copy of the 2017 report on drone use was not available Thursday because the director of the Maine Criminal Justice Academy, John Rogers, was away on vacation, representatives said. Maine State Police have used drones to take pictures at 18 crash scenes so far, said Scott, who commands the agency’s traffic safety unit. One of those uses occurred on Wednesday morning, when a fatal motorcycle crash closed an on-ramp to Interstate 95 in Augusta, Scott said. The state’s overall highway death toll this year is 124, up 17 percent from the 105 reported during the same period in 2016. Three members of Scott’s unit have been licensed by the Federal Aviation Administration to fly drones, and they also have performed about 35 training flights, he said. The state police have bought three DJI Matrice 200 drones, each costing about $5,000 and stored in protective cases. To use them, the agency’s licensed pilots, who all have worked as crash investigators, must drive to the accident scene and assemble the machines. With a remote control, they can direct the drones and see what’s on-camera using a small attached monitor. The devices also include safety features, such as transceivers that alert the operators when airplanes are nearby and sensors that are supposed to prevent the drones from colliding with other objects. On Thursday, Scott and others praised the ability of camera-equipped drones to document an accident scene quickly and help police reopen roads that have been shut down. At this point, Scott said, the agency is using the technology “to augment” its crash investigations, but he said that other opportunities could arise for the agency to use drones, as long as they’re legal. He also dismissed the privacy concerns around drone use. The state police follow the rules that were included in the 2015 law regulating drone use, he said. And when a vehicle unrelated to a crash investigation is caught on a drone’s camera, he said, the drone operators can remove that person from the final rendering of the photo that’s submitted to investigators. Oamshri Amarasingham, advocacy director at the ACLU of Maine, questioned how practical it can be for the state police to crop unrelated individuals out of every photo taken at an accident scene. 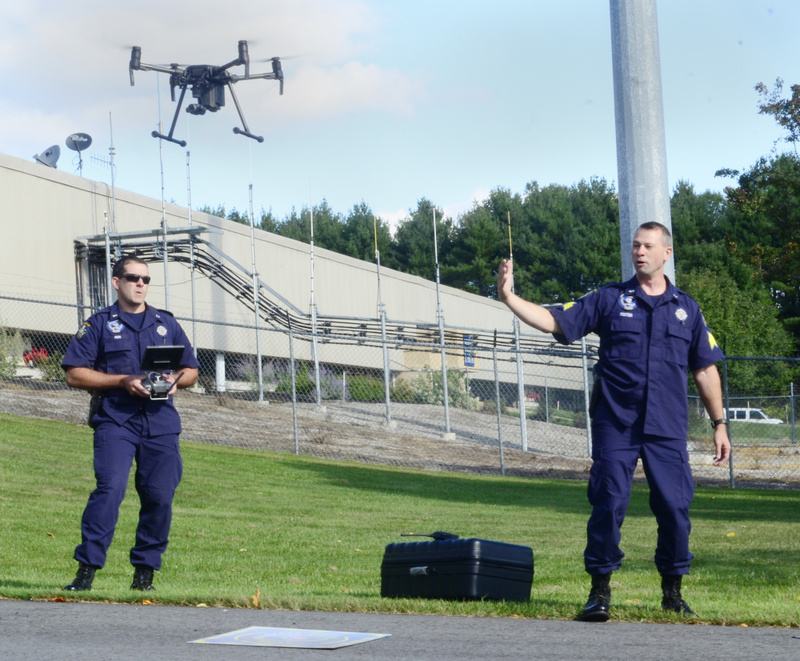 There are appropriate situations for first responders to use drones, such as when firefighters used them at the scene of a Sanford apartment fire in June, Amarasingham said. But Amarasingham, who helped get the 2015 law passed in Maine, also questioned what level of privacy protections the state police have included in their internal drone policy. Scott and Maj. Christopher Grotton, who oversees the agency’s drone usage, did not respond to requests Thursday afternoon for a copy of the agency’s drone policy. Earlier in the day, Williams said the agency based its program “word for word” on Maine’s statutes and the guidelines set by the Maine Criminal Justice Academy. The Maine State Police also follow a number of rules set forward by the Federal Aviation Administration, Williams said.